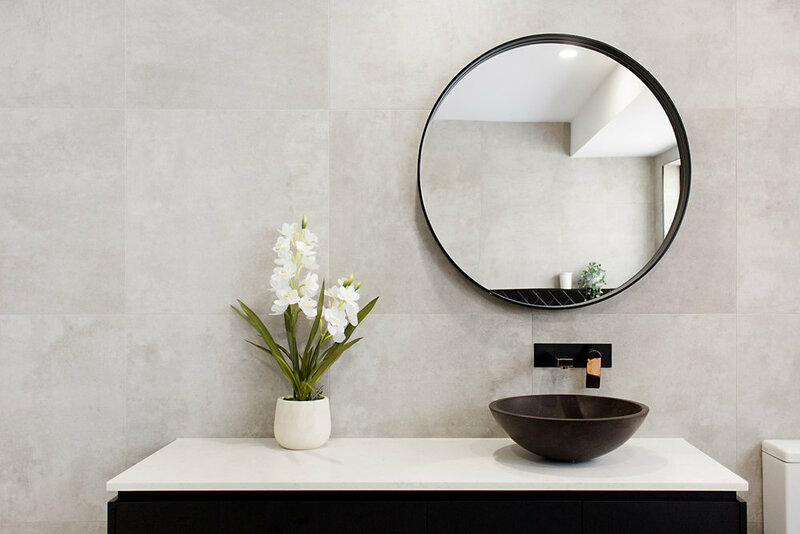 Gold Coast Building and Renovations are experts in creating designer bathrooms on a budget. Careful planning and strategically spending is the key to creating a luxury feel without the luxury price tag. 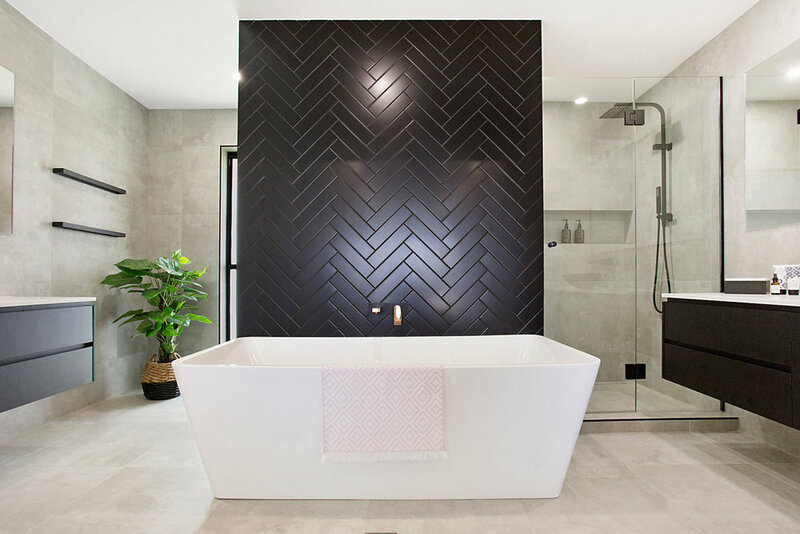 As we are a building company we take care of all aspects of your bathroom renovation to ensure you have a smooth process throughout the build. We work with you every step of the way from designing the new floor plan to selecting the finishes. As we design mid to high range bathrooms all joinery supplied is custom made to fit your space and budget. This allows the design opportunities to be endless, without the need to work around standard size vanities. Tap ware is available in a range of colours, not just the standard chrome. Matt black has made a large impact and is now much more affordable. If you want to make a statement there is always brushed brass, rose gold, gunmetal and gold. Shower spaces are getting larger and larger with the option of a double shower if you have the space, for not much more cost. Open showers are impacting the modern bathroom, these do not work in every space. We will work through with each client to discuss all options, we pride ourselves on not only creating beautiful bathrooms, but practical ones. 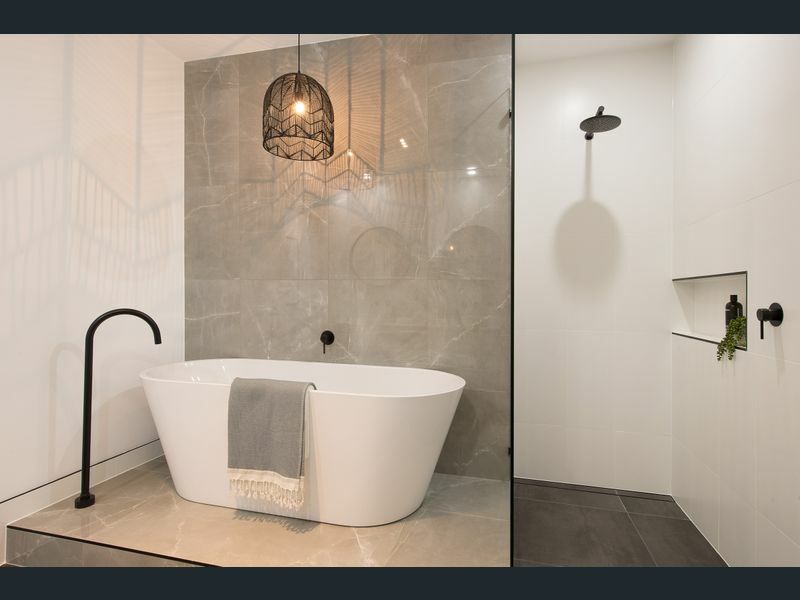 Contact Gold Coast Building and Renovations for a quick estimate on your bathroom renovation, simply provide the dimensions of your space and we can provide an estimate on a mid range and high range bathroom. Attach any inspirational photos or any other details that will give us a guide in the style you would like to achieve so we can provide a tailored estimate. From the estimate we will then discuss all options with you to provide a fixed quote. Gold Coast Building and Renovations pride ourselves on being completely transparent and keeping to the clients budget. 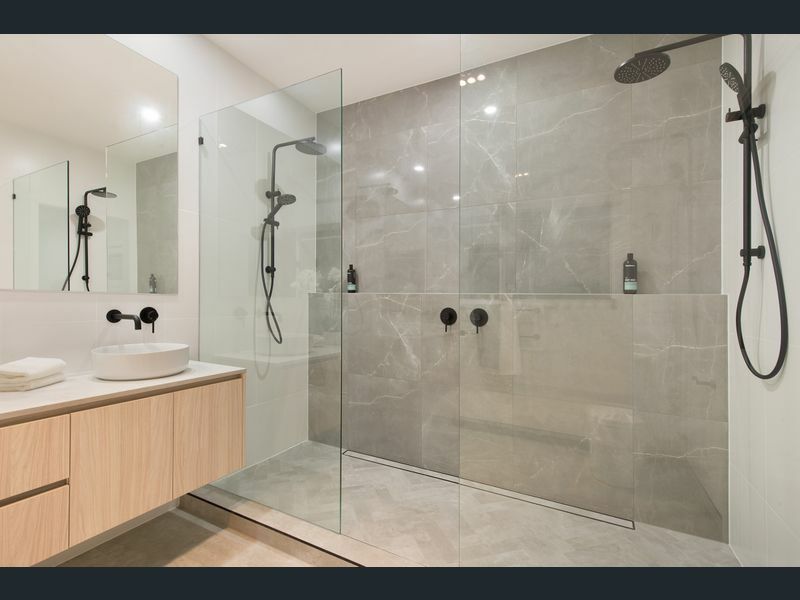 We provide a fixed price noting all the included finishes, allowing the client to know exactly what the bathroom renovation will cost before the renovation starts.